Core Publications officially launches its online TV project ElGomhoreya TV, with mystery, drama, gaming and interactivity. ElGomhoreya Television, MENA’s first online TV video portal, has officially launched today with its interactive detective game series “ELMa7kama” (“The Court”). ElGomhoreya TV – managed by Core Viral – has been working on becoming a unique, exceptional piece in the pattern of online media since September 2011. In “ElMa7kama”, the target audience watches a video in which a detective is trying to solve a case. Viewers have the chance to step into the detective’s shoes and – based on a number of clues – send in their assumption of who committed the crime. Correct answers are awarded with prizes. When asked about the idea of the series, Sherif explains: “With ElMa7kama, we brought together two important aspects: Drama and Game. Firstly, there’s a high demand on drama when it comes to television and secondly, the gaming-culture in on the rise when talking about the online world. “We are the first online television channel in the region to host on an independent website, and not just on YouTube. We are also the second online channel in the world,” Sherif adds. 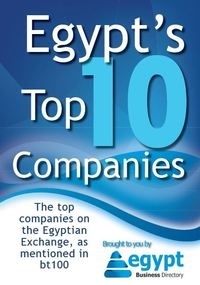 ElGomhoureya TV is another proof of the creativity and development taking place in Egypt's entrepreneurial sector.